Roy Orbison and The Traveling Wilburys Tribute are the very best interpreters of one of the world’s greatest ever musicians. Expertly crossing from country to pop, rock & roll and beyond, his incredible career saw him listed by Rolling Stone magazine as one of the ‘Greatest Artists Of All Time’ whilst also being inducted into the Rock And Roll Hall Of Fame, the Nashville Songwriters Hall Of Fame plus the Songwriters Hall Of Fame. They have just announced a tour which takes them to O2 Academy2 Sheffield, The Scholar at O2 Academy Leicester and O2 Academy3 Birmingham during May. Then O2 Academy2 Newcastle on Saturday 1st of September 2018. As the word spreads the excitement builds resulting in a huge demand for Roy Orbison and The Traveling Wilburys Tribute tickets. We really do recommend booking early as they will sell very quickly. Fortunately, selecting and making your gig ticket booking is made easy with Gigantic as you can access the site 24/7 using your tablet, computer or smartphone whilst in the comfort of your home or whilst busy on the go. Also, be sure to set a personal reminder with Gigantic so we can alert you directly with a text message or an email when they become available at 10:00 on Saturday 2nd of December 2017. The Big O has never been so well depicted! 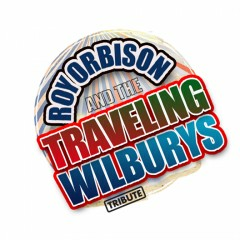 We are really excited to be able to offer you Roy Orbison and The Traveling Wilburys Tribute concert tickets, but as we only have limited supplies you really will have to act fast and book before they are all snatched up. Gigantic has a well-earned reputation for being the best place to choose from a wide range of essential gig tickets and providing excellent customer service, and so we have been bestowed the Nottingham Post illustrious ‘Retail Business of the Year 2017’. So, you know we are the right place to come whenever you are booking your big night out.